According to a study in The American Journal of Sports Medicine, almost 130,000 US women, men, and children tear the anterior cruciate ligament (ACL) in their knee each year. Dr. Marilyn E. Copeland, a board-certified orthopedic surgeon and fellowship-trained sports medicine specialist, can diagnose and treat your ACL injury at Fondren Orthopedic Group in Webster, Texas. If you live in the Clear Lake or Greater Houston area and are experiencing pain or stiffness in your knee, call Dr. Copeland or request an appointment online today. The anterior cruciate ligament (ACL) and the posterior cruciate ligament (PCL) are rope-like tissues that form an “X” shape inside your knee joint. The ACL crosses in front of the PCL and is the most easily injured of the two. When it’s healthy, the ACL keeps your knee stable as you rotate it, and it keeps your tibia and femur in proper alignment. You can easily tear your ACL when playing sports or engaging in other high-impact or quick-moving activities that require you to change direction, jump, or stop suddenly. Female athletes are more susceptible to ACL injuries, which may be due to the hormone estrogen’s loosening effect on ligaments as well as alignment differences in the pelvis and leg. Dr. Copeland has a special interest in treating ACL tears and other sports injuries in female athletes. How does an orthopedist treat an ACL tear? ACL sprains are graded by severity. In a Grade 1 sprain, your ligament is stretched but intact, and your knee is stable. Grade 2 sprains are rare because the ACL is only partially torn. The most severe ACL sprain, Grade 3, is characterized by instability in the knee and an ACL that’s completely ripped in two. For a Grade 1 sprain, Dr. Copeland may recommend conservative treatments, such as rest and bracing of the knee. A torn ACL, on the other hand, can only be reconstructed with arthroscopic surgery. Dr. Copeland reconstructs the ACL with a tissue graft from your own body, or an artificial ligament. How are women treated for ACL tears? Body alignment: Women tend to have wider hips and knees that point inward, both of which can increase the risk of a knee injury. Dr. Copeland understands that because their bodies are unique, women benefit from a unique approach to treatment. After treating your injury, Dr. Copeland provides women with specific exercises and training they can perform to strengthen their knees and prevent future injury. Early treatment improves your prognosis and recovery time. 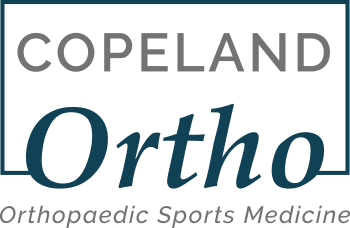 If you think you have a torn ACL, call Dr. Copeland’s helpful staff or request an appointment online at Fondren Orthopedic Group - Clear Lake today.